What is it about wine that makes people freak out? For some, the thought of picking a bottle at a restaurant is enough to throw them into a panic induced seizure. We all know someone like this. Maybe we are someone like this. Wine is a beverage. Yes, there are certain attributes that make some better than others, but when you get right down to it, wine is a drink to be enjoyed…not feared. So, back to wine. There are so many different grape varieties and conditions that affect the taste and ‘quality’ of wine; it can be overwhelming to remember them all. Hence the reason people tend to break out into a cold sweat at the thought of picking a wine for the table. Amarone, Syrah, Pinot Noir, Cabernet Sauvignon, Merlot…Chardonnay, Sauvignon Blanc, Pinot Gris, Riesling, Gewürztraminer… It’s enough to put someone who simply orders the house red or white into a cardiac arrest. If you’re not interested in learning more about wine and just want to pick something safe, here is my advice. Go with what you like. Think Cola. If you drink Coke at home, don’t order Pepsi. If you are feeling daring, you can learn a lot from your waiter and may discover a new favorite. Describe what it is about some of the wines you like, and you may get a new suggestion that surprises you. And if you’re buying for home, find the resident wine expert in the store and describe it to them. I’ve discovered some amazing bottles from speaking with the staff at the store. So the next time you’re looking for a great wine to go with your lasagna, don’t stress about it. Ask around…the waiter, the store wine-guy, your BFF… Wine is an intriguing ever-changing entity, which is why I love it. But when it boils right down, wine is just a beverage, so drink up and enjoy. 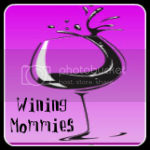 Wining Mommies entertains and supports moms through the journey of motherhood, as mom’s and as individuals. Because being a mom is hard work, and although we love it (most of the time), sometimes a glass of wine is in order to keep your sanity in check! So raise your glass and toast yourself, your mom, and your Wining Mommies friends. CHEERS!